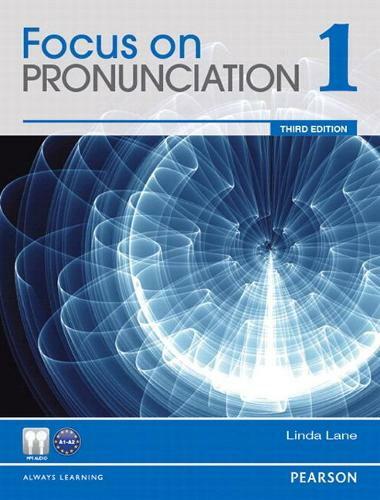 This Value Pack consists of the Focus on Pronunciation 1 Student Book and the Classroom Audio CDs. The new edition of Focus on Pronunciation 1 gives beginning to high-beginning students the tools, tips, and techniques they need to speak clearly, accurately, and fluently. All aspects of pronunciation are included - consonants, vowels, stress, rhythm, and intonation. The variety of activities and flexible, accessible style make learning fun. Presentation sections feature clear explanations and diagrams. Focused Practice sections build accuracy with high-interest listening and speaking tasks and engaging games. Communication Practice sections integrate pronunciation and fluency with practice in a communicative thematic context. Natural English boxes illustrate how to speak English more naturally and fluently. Extended Practice sections encourage continued accuracy and fluency practice outside of class. The CD in the back of the book provides MP3 audio for the Extended Practice sections. Classroom Audio CDs provide the complete audio program. Complete online Answer Keys and Audioscripts are available online.